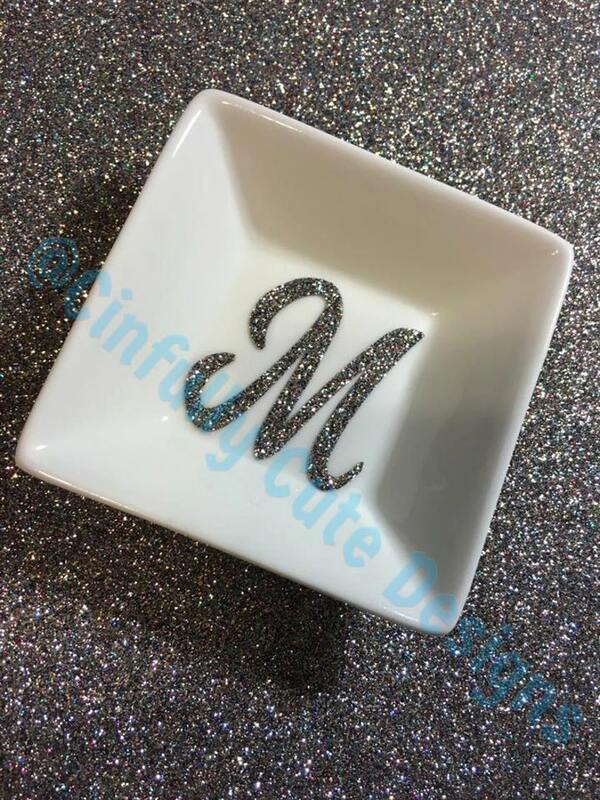 Precious little dish to hold your bling and rings on your nightstand, vanity table, or kitchen windowsill. Great bride or bridal party gift, teacher gift, hostess gift or stocking stuffer! Made of white glass, measuring approximately 3" square. Personalization is done in commercial grade permanent glitter vinyl available in several colors. So sparkly!! 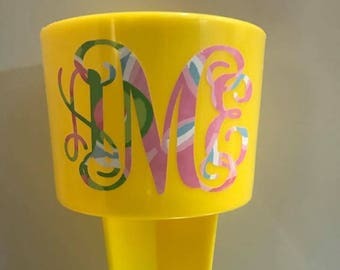 Can be personalized with 3-letter monogram, single initial, small name, sorority, or small graphic such as a ring, Fleur de Lis, etc. Personalized and custom made items are non returnable unless there is a mistake or error on my part, so please double check the accuracy of names and/or dates prior to placing your order. Please visit my Facebook page ~ Cinfully Cute Personalized Designs. Got this as a gift for my BFF and she loved it!! Beautiful. She didn't have purple listed as a color but I email her and she answered back within a hour or 2 that yes she did have purple also!